The lazy days of summer have almost come to end, and my kids will soon be heading back to school in just 2 weeks. Where did the summer fly off to? I feel like this summer was way too hot and rainy. We never got to enjoy many beach days or family outings. But, thankfully we did catch up on favorite movies and shows together indoors. My girls are especially excited for the new season of Spirit Riding Free to become available on Netflix this Friday. Season Six arrives on only the best day of the week to spend the evenings by the couch enjoying this adventurous show. My girls and I love this action packed show that features Lucky, Abigail, and Pru and their daily adventures. I love that the show features female characters that are brave, bold, and loving. It really is the kind of show that you can fall in love with. I am so happy the girls and I will be able to watch season 6. The trailer looks amazing and loaded with action and drama! My two girls love horses so much and want to be like Lucky! They always ask if we can get one, but do not realize how much yard they would need and care. Instead, we visit the local horse farm so they can admire the beautiful Saddlebred and Warmblood horses. While we may not be able to get the girls their own horse, we can surely enjoy shows all about horses and empowering young girls like Spirit Riding Free. 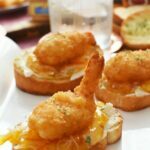 Since I am all about the food (hello food blogger) and treats, I wanted to make the girls something fun that they could help me with in the kitchen. 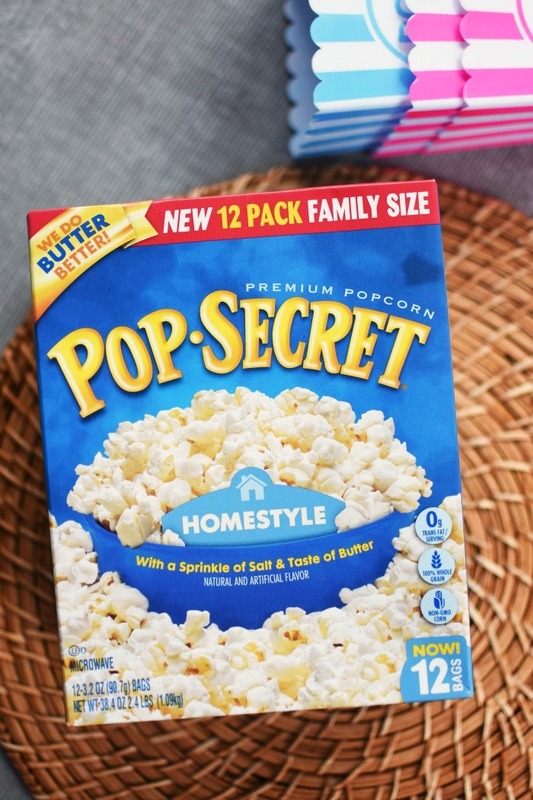 Movies are all about being together, relaxing with a good snack so why not add some Pop Secret Microwave Popcorn into the mix? 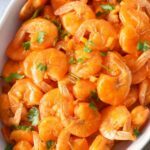 We always have this brand in the house because my kids love the Homestyle flavor and I love the price! 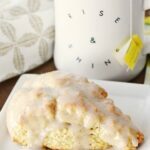 It has a great butter taste, and it allows people to celebrate life’s simple joys! Walmart now has 12 pack Family Size boxes which work out well for us! Typically, I pop one bag and divide it into three bowls so each of my kids gets their fair share and there is no fighting. But, this week I wanted to make them something tastier that they could help with. 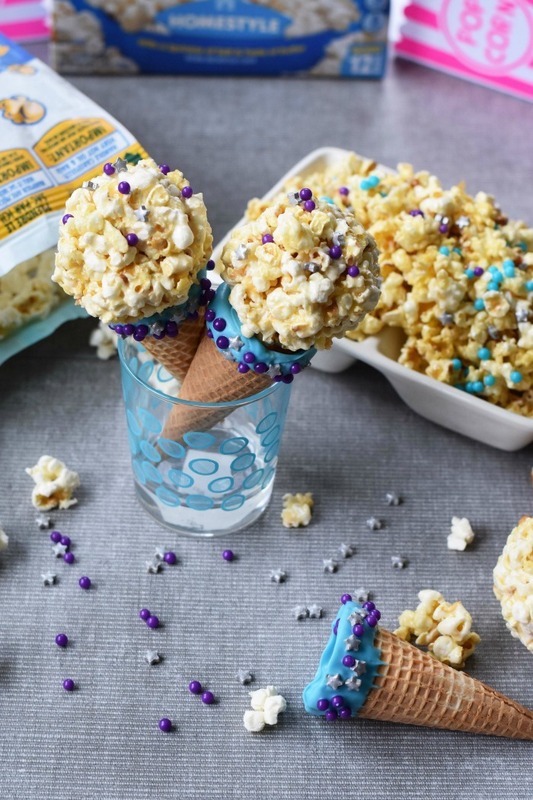 I decided on some Popcorn Balls made with Corn Syrup in Ice Cream Cones! This farewell to summer treat would be a lot easier to eat on the couch versus a dripping cone, and my girls could help shape the balls. 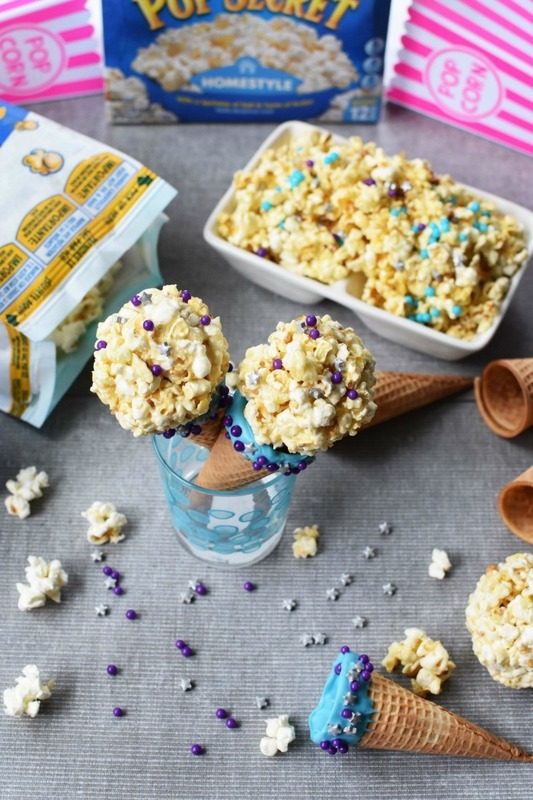 We decided to make a small batch of popcorn balls and left some as is which is similar to caramel corn. Of course, we sprinkled in some colors that reminded us of Spirit Riding Free to make it extra special and fun. 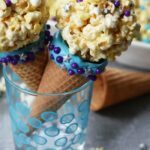 My girls LOVE sprinkles and candy so adding them into treats like these popcorn balls made with corn syrup was easy! Since this is a VERY messy DIY I opted to leave the camera away from the stickiness for much of the creation, but capturing the end results was the best! 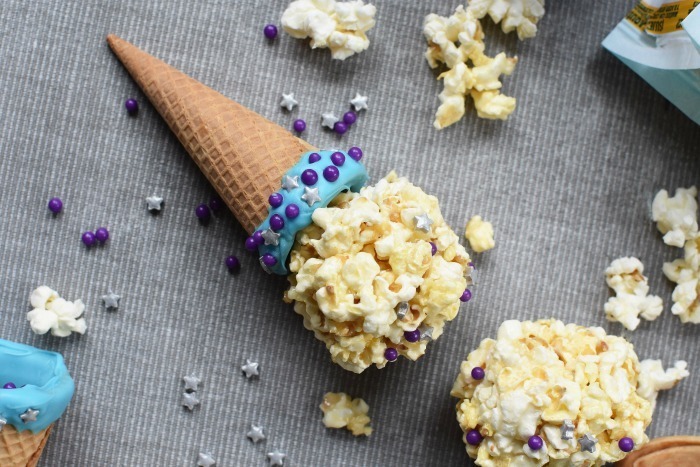 We molded the sweet, and very sticky corn into smaller balls to resemble an ice cream scoop. Once they were molded, we wrapped them in plastic wrap while we decorated the cones. Our batch was plentiful so we left some corn to much in little clusters. The cones hardened fast since we used melting wafers. 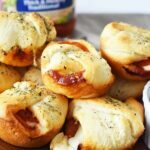 Overall, I think they came out really cute and made for the perfect show snack! 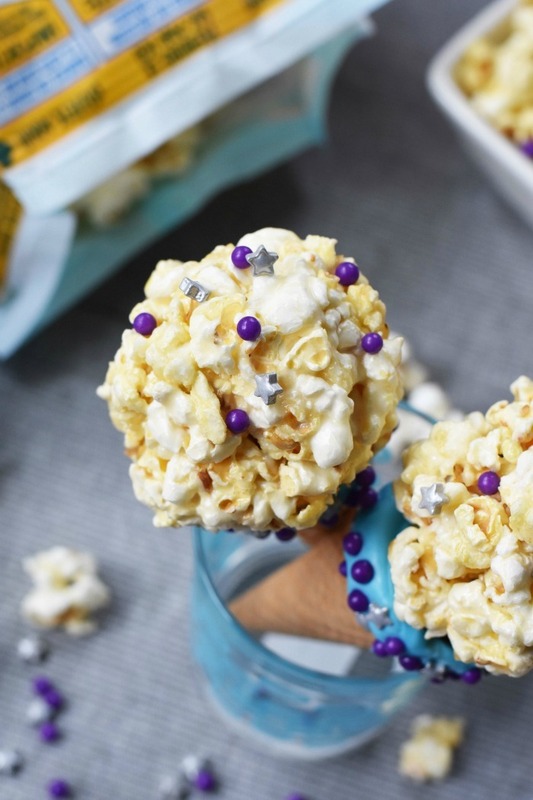 I could even make more of these popcorn balls for the kids to enjoy at school since they do not have allergens like most snacks. That way they could really head back to school with spirit! Looking for some additional Spirit Riding Free activities? Check out these fun videos, game, and activities for your kids. After the popcorn is popped, place it in an oven on a baking sheet on a warm 200 degrees fahrenheit. In a saucepan, combine sugar corn syrup, water, margarine, over medium heat stirring constantly until it reaches a boil. Continue cooking until your candy thermometer reaches 270 degrees fahrenheit. Once it is that temp, mix in the extract. 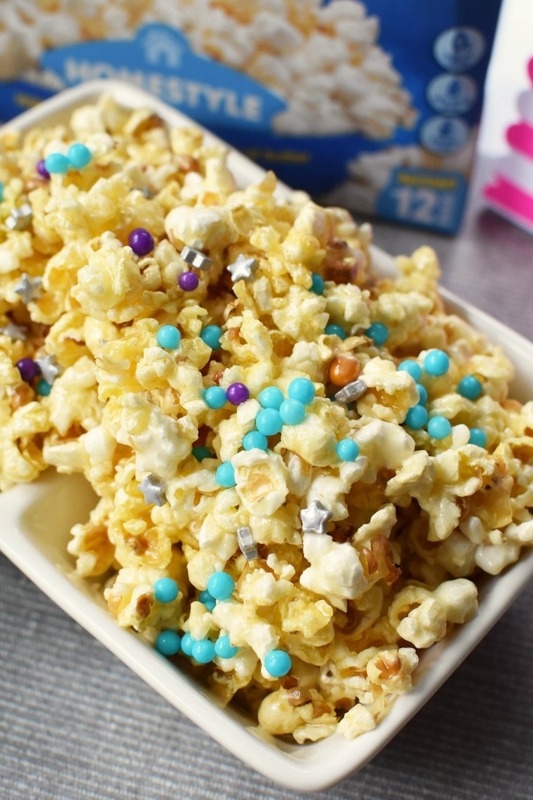 Remove popcorn from warmed oven, and carefully pour the sweet, sticky mixture over the kernels. Allow to cool for about 3 minutes until it is warm enough to NOT burn your hands. I recommend greasing your hands with butter or margarine so the syrup does not stick to it. 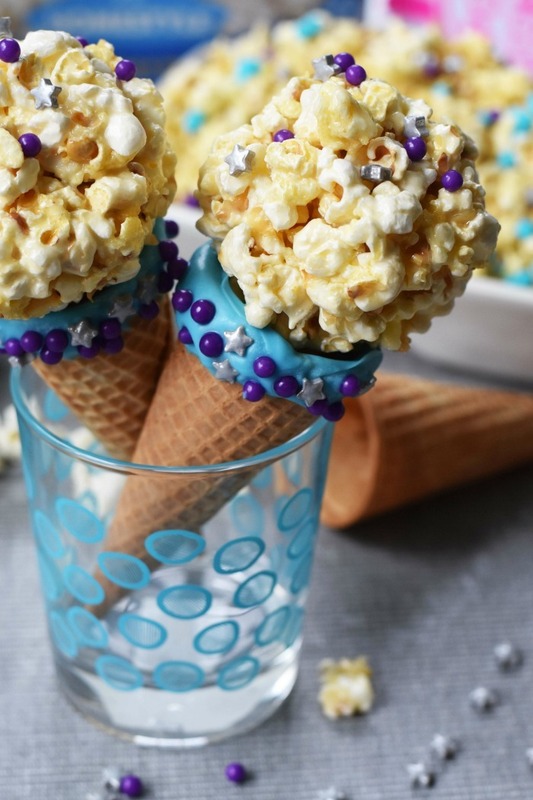 You can leave the popcorn as is to make candied corn, or shape it into balls. Be sure to wrap the balls tightly in plastic wrap so they keep their shape. After about 15 minutes remove balls from plastic wrap and adhere to cones, or enjoy on their own. Oh how fun! 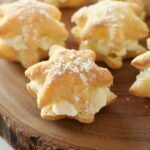 These would work for so many special events and holidays I’d love to make some for Halloween! What a great idea for my niece’s birthday! So colorful and easy. Thanks for the idea, we were going nuts trying to think what to do. What a FUN idea! I love it! My nieces are coming for the holidays and I always love little projects for all of us to do. This is ABSOLUTELY going on my list! These are so fun! 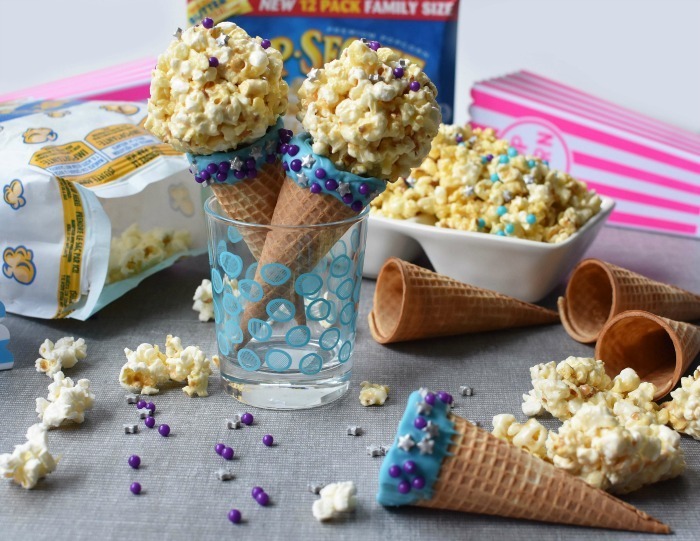 My son loves snacking on popcorn so I know he’d love these. A little sweet, a little salty. It’s the perfect treat. 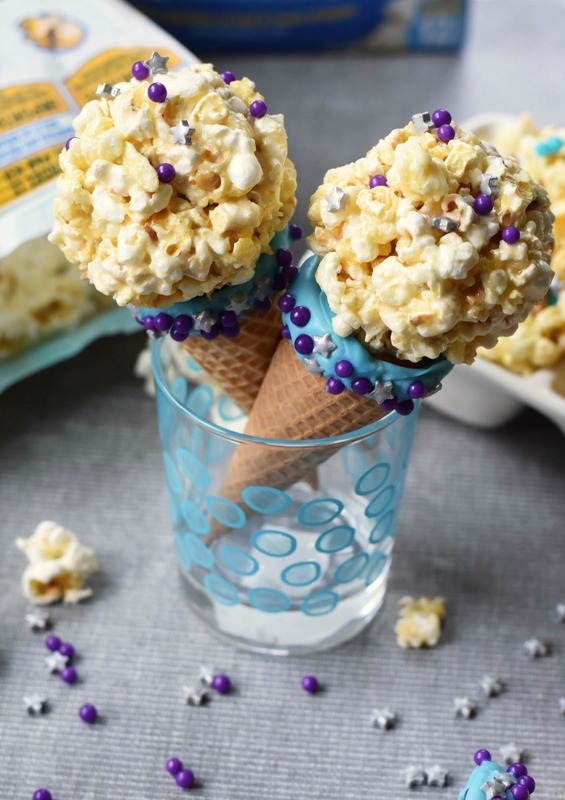 These popcorn balls are super cute. I love the cone, that’s a fun touch. This is such a wonderful idea. I’m going to have to make these for my daughters birthday party. I think they’re going to be such a hit with all the kids. This looks really fun! Kids will surely enjoy this!! 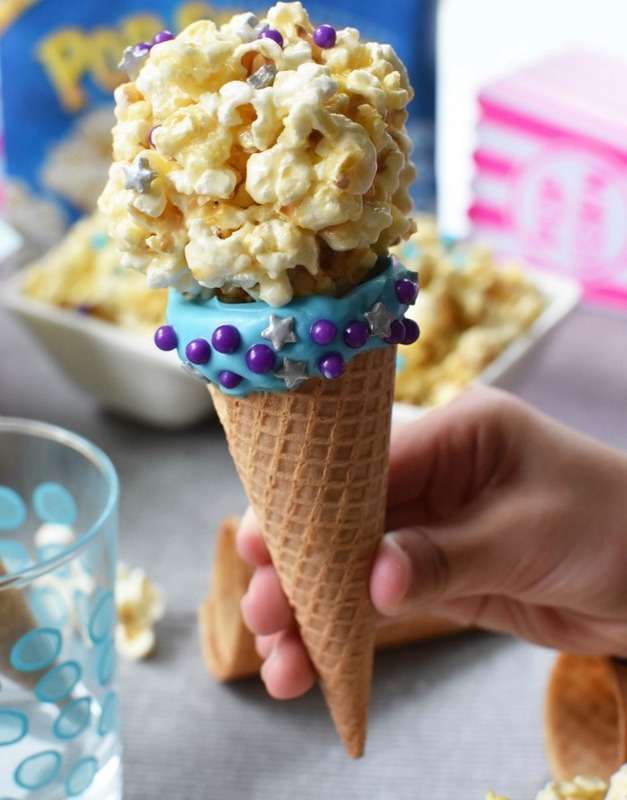 I’m all over caramel popcorn. This is the cutest idea ever. Brilliant! 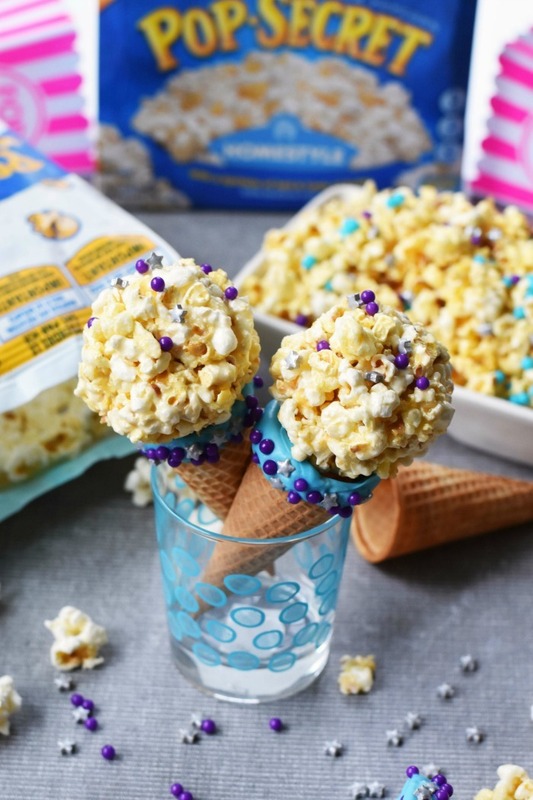 Can’t wait to make them with the girls for movie night this weekend. this is such a cute idea! We area lways looking for spirit themed snacks for the PTA. I think this might make it!